But Tessie could hear the giant spider walking across the ceiling. Its really big mouth scared her. It had huge brown things on the side of the mouth that made clicking noises when it ate one of the ghosts or fairies that got too close to it. It’s eight eyes were too scary to look at. Still, sometimes, even with her eyes closed she could see it. It wanted her to see it and be afraid. Pedro didn’t say anything, again. Tessie made herself be very still. She breathed slowly and quietly. She thought happy thoughts to Pedro about playing outside in the sunshine. He thought happy thoughts to her, his white body with red polkadots becoming softer and more oval as he became a real horse. After a while, she opened her eyes. She didn’t know whether she was sad or mad. It was still there. Thanks for reading! Feel free to comment. I will approve feedback of any sort, but will delete spam. That’s why I handle this task manually for now. Remember, you can join the fun next time around. 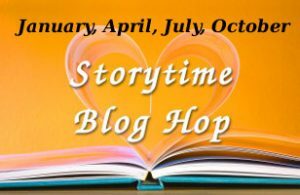 The next Blog Hop happens in April. Stretch your creativity and writing muscles. Get out of your comfort zone. The rules are here. 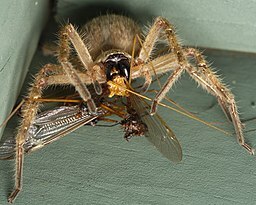 I’ll admit… I have a hard time seeing spiders as cute or sweet. But this one definitely is. Nicely done. Loved it. Made me feel all warm and fuzzy inside! Very cute! And I love the idea of this being a picture book! Did you all see the other stories? Some of them are QUITE good! What a lovely story and so full of truth. Thank you. Loved it. Fun way of telling big truth. Clever perspective. Fun read. Nice ending. A story that makes you think. Oooh, I like this one! I want this to be a picture book. Cute story with a definite takeaway truth!